We have every single device you can think of in our home. We’re just techie people and love the convenience and coolness of it. I’m not much of a jewelry gal, but the tech stuff is where it’s at for me. One of my favorite devices is the Google Chromecast. Here are some of the reasons I’m a huge fan. I can easily pull up video of one of my favorite math teaching YouTubers and we watch it together on our big TV in the living room. It’s so easy to just cast those videos and review them. I’ll let you in on another secret. Having a teen means watching lots of memes and silly videos that he likes to share. I get a headache when I have to use my phone too much. Call it being middle-aged. I don’t care. But it’s a lot more pleasant for me to see something on a 60 inch screen. I can’t tell you how many times I’ve been invited to give a presentation somewhere and there are tech issues with projecting my PowerPoint slides. Now I just bring this little gadget with me everywhere and voila! All it takes is a screen with an HDMI connection and you’re all set. 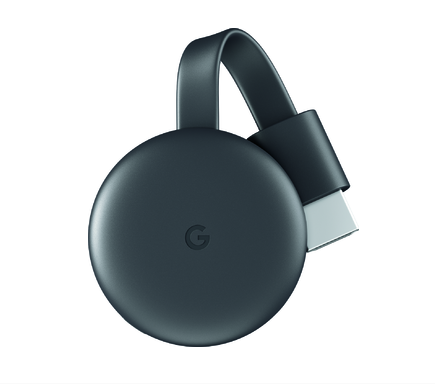 The Google Chromecast is available at Best Buy. Click here to get yours today. Come back and let me know how much you love it! I love that the Google Chromecast makes teching easy because all of my children have grown up so there is no one here to help. The voice activation would be even easier. My fave is I can put learning videos on my TV when I need a break from my grandson! I really like how easy this is to integrate into your current home set up. It makes watching all your favorite apps so much easier. I have google chromecast and its so awesome!!! I use it to cast lots of movies and shows since I dont have a smart tv yet. I haven’t used this before, but I have heard great things about it. I did hear that its streaming capabilities are really awesome. I’ll have to look into this for our house. Thanks for sharing! I have two of them and they are used daily. They are so convenient when you are on your computer or phone. I’ve been wanting this so bad! I think it will be so cool to have and use this instead of our cable. Love the Google Chromecast I have 2 of them and they are the best.